Hi! I need someone to retopo a photogrammetry scan of a 3D map for me into simple to work with quads, that has been UV mapped to work with the original texture map. Ideally done in the next few days! 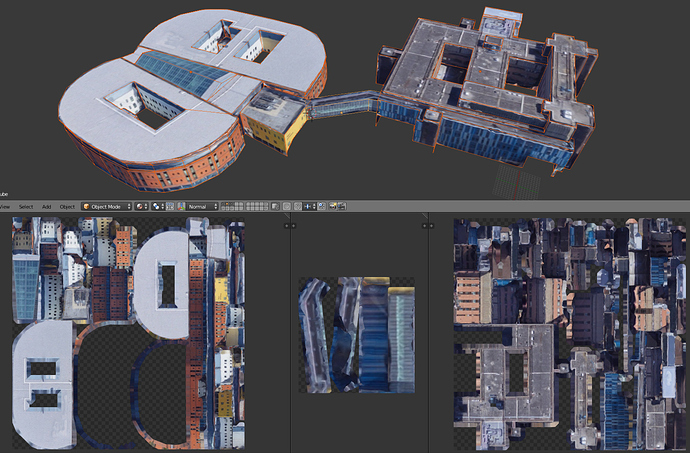 Importantly, it is just the main hospital buildings that would need retopo, not the surrounding houses etc. If you could give me a cost and timeline that would be great! I assume this job has already been filled/completed? Soon after your original post I had a look at the file to see what what was needed, before getting swamped with other work. The retopo was easy enough in my tests on 2 of the more complex buildings. But transferring the existing image texture didn’t come out great (due to the resolution of the scan, primarily). Didn’t think the results would be satisfactory… at least not without doing some (pretty heavy) texture fixing, which would substantially increase the time/cost. Just let me know if you still have a need here, and I can upload what I’ve got so far for your evaluation. With some feedback I can provide more solid estimates on time/cost to complete the project.